1. Briefly review Lesson 4 (link above). 2. Compare the serpent’s statements to Eve in Genesis 3:4,5 with verse 7 and the remainder of today’s passage. Were his statements factually correct? Did Eve die when she ate the fruit? Were Adam and Eve’s “eyes opened”? How can a statement be factually correct and deceptive at the same time? Have you ever been tempted to sin by facts that were correct, yet deceptive? 3. What two things did Adam and Eve do in verses 7-8 in response to their sin? Why did they do these things? (10) Compare Genesis 2:25 to verses 7-8,10 and explain the concept of shame as it relates to sin. How did shame over their sin cause Adam and Eve to act toward God? In what ways can shame over our sin be a blessing? 4. What three questions does God ask of Adam and Eve in verses 9, 11, and 13? Did God ask these questions in order to find out information He did not know, or to elicit a response or confession from Adam and Eve? Does God ever ask someone in Scripture a question He doesn’t know the answer to? 5. Why did God call out Adam first (9) instead of Eve? Whom did Adam blame for his sin? (12) Yet, whom did God hold primarily responsible (in a “the buck stops here” kind of way) for the fruit-eating debacle: Adam or Eve? Why? Did God give Eve a pass on her sin? (13) How did the fact that God held Eve accountable for her own sin demonstrate that He created her, and womankind, with intelligence, understanding, her own abilities, etc.? 6. Examine 1 Timothy 2:12-14 in light of what we have studied about the creation of Eve and the deception of Eve in lessons 4 and 5 of this study. How does the fact that verses 13 and 14 (of 1 Tim. 2) give the creative order and the deception of woman as the rationale for verse 12 help us to understand that this instruction regarding the role of women in the church is universal (to all women at all times in all cultures), not just limited to the time at which Paul wrote 1 Timothy? 7. In what order (who is 1st, 2nd, 3rd?) does God mete out the consequences for sin? (14-19)? Compare this order to the order in which the deception and sin took place in Genesis 3:1-6. List the consequences God gave the serpent, Eve, and Adam. What do each of these consequences mean, and how are they still impacting us today? 8. Verse 15 is often called the protoevangelium. Who does “her offspring” refer to in a broad, general sense? (20) Specifically? How did Satan “bruise” Christ’s heel? How did Christ “bruise” Satan’s head? How does this “gospel in the Garden” help demonstrate that redemption through Christ was God’s plan from eternity past? 9. Put yourself in Eve’s (as yet non-existent) shoes and imagine yourself hearing God speak to Adam in verses 17-19, beginning with the phrase, “Because you have listened to your wife…”. What are some of the thoughts and feelings that might have been running through Eve’s head? How might this have motivated her to be a better helper to and a godly influence on Adam in the future? Have you ever influenced your husband or someone else you love to sin and then had to watch him suffer the consequences? 10. Examine verse 21. What were Adam and Eve’s “garments” previously made of? (7) Did God find the fig leaf garments acceptable? What did God have to do in order to obtain skins for new garments that would be acceptable to Him? Have we previously seen the death of a living creature in the book of Genesis? Why are we now, in verse 21, seeing death enter the world? How does this sacrifice of animals to cover the sin and shame of man point us to the gospel? How do Adam and Eve’s fig leaf garments needing to be replaced by garments made by God introduce the idea that we cannot cover up our sin by our own efforts, but that God Himself had to provide a sacrifice to both cover our sin and clothe us in the righteousness of Christ in a way that was acceptable to Him? 11. What precautions did God take to make sure man would not live forever in a fallen world? (22-24) How does this demonstrate God’s mercy? 12. What do we know about Eve’s life after her expulsion from the Garden? (4:1-2,25) What do Eve’s statements about Cain’s birth (1) and Seth’s birth (25) tell us about her ongoing relationship with and attitude toward God? Thinking back over what we know of Eve’s life, from her creation to the birth of Seth, make a list of three of Eve’s characteristics or actions that teach us how to be godly and three of her characteristics or actions that teach us to avoid being ungodly. Find a specific way to implement at least one of these life lessons from Eve in your own circumstances this week. 1. Review what we learned about Eve – the kind of person she was, her responsibilities, the world in which she lived – from lesson 3 (link above). 2. Read Genesis 3:1-6 in light of 1:26-28 and 2:19-20. There are three constructs in these earlier passages to note: a) Eve was made in God’s image, b) Eve was to exercise dominion over Creation, and c) no animal was found suitable as (“corresponding to”) a helper to Adam so that God had to specially create Eve. How did these three constructs impact (or how should they have impacted) Eve’s interaction with the serpent? Was she acting and speaking as an image bearer and representative of God? Was she exercising dominion over this creature? Was she being the helper to Adam that God created her to be? 3. What is the serpent’s question to Eve? (1) How did Eve answer? (2-3) Compare 3:1-3 to 2:16-17. What are the discrepancies between what God said and what the serpent quotes Him as saying? Between what God said and Eve’s answer to the serpent? Did God give the instructions in 2:16-17 to Adam and Eve? (hint: see 2:15-18) How might this account for the difference in God’s actual instruction in 2:16-17 and Eve’s understanding of His instruction in 3:2-3? 4. Examine the serpent’s remarks to Eve (1,4-5). How would you characterize this deception – was it an obvious, 100% lie, or a twisting of the truth? In what specific ways did each of the serpent’s statements twist God’s words? Eve had both the spoken words of God and personal knowledge of His nature and character. How could Eve have been a good Berean in her interaction with the serpent? How were the serpent’s remarks a form of “extra-Biblical revelation” (when someone purports to speak for God outside of God’s written Word)? 5. Remember that, at this time (3:1-6), Eve was in a face to face, personal relationship with God, unmarred by sin, much like a Christian’s relationship with God in Heaven will be. Think about how she would have wanted to relate to God in this perfect situation. Would it have been tempting to Eve to do something that she knew was blatantly wrong (ex: murder, lying)? Considering how she would have wanted to please God, honor God, and know Him better, in what ways was the serpent’s temptation a “perfect fit” for Eve? Was he tempting her to do something she thought was evil or something she thought was godly? 6. Think back over your answers to questions 4 and 5. Do you see any similarities between Satan’s twisting of God’s words and the way false teachers twist God’s Word today? How can you be a good Berean when you examine the words of a pastor or Bible teacher? Why is it so important to compare everything you’re taught to God’s written Word for yourself, even if the teacher says she’s telling you what the Bible says? As a Christian woman, desiring to please God, honor God, and know Him better, as Eve did, do you see how you might be deceived by false doctrine or “new and improved” ways to please Him that He has not commanded in His Word? 7. Charles Spurgeon once said, “Discernment is not knowing the difference between right and wrong. It is knowing the difference between right and almost right.” How does this statement relate to Eve in 3:1-6? 8. Why did the serpent approach Eve (1) instead of Adam? Consider the many strengths God has hardwired into women and how the serpent manipulated Eve, using her qualities of trust, giving the benefit of the doubt, kindness, etc., against her. How do these Scriptures relate to this aspect of Eve’s temptation? 9. Examine verse 6. What three things did Eve see about the tree? How did the tree tempt her sense of practicality, her flesh, and her emotional desires? In what ways can today’s false teachers tempt women in these three areas? Should we give in to these feelings, desires, and temptations as Eve did, or should we obey God’s Word in spite of temptation and our feelings and desires as Eve should have? 10. How did Eve’s sin influence Adam to sin? (6) How did Eve sin against God by failing at her job as Adam’s helper? In what ways do we influence our husbands, children, fellow church members, and others to sin when we give into temptation? How would this passage have ended differently if Eve had acted as a good Berean and properly fulfilled her role as Adam’s helper? Examine a teaching video from a “Christian” celebrity such as Paula White, Benny Hinn, Joel Osteen, or T.D. Jakes. Listen for phrases such as “God says…”, “God wants you to…”, “Christians are supposed to…” and other definitive statements the teacher wants you to believe are from God or from the Bible. Each time you hear such a statement, pause the video and ask yourself, “Where does the Bible say that (in context and rightly handled)?” Use your Bible, Bible Gateway, or a concordance to “examine the Scriptures to see if these things are so.” Are there any ways in which this teacher is twisting God’s Word or tempting your flesh, emotional desires, or sense of practicality, to believe something about God or His Word that isn’t true, or to disobey God? 1. You may wish to review Lesson 2 (link above) in preparation for today’s lesson. 2. Examine 1:26-30. What sets human beings apart from the rest of creation? What does it mean to be made in the “image” and “likeness” of God? What responsibilities and instructions did God give Adam and Eve when He created them? 3. What did God mean when He said that man was to “have dominion” (26,28) over the animals and “subdue” the earth (28)? Does God consider animals to be equal to people? How does man’s dominion over the earth reflect and point to God’s dominion over the universe? What are some ways Christians can glorify God as we exercise dominion over creation? 4. What did God instruct Adam and Eve to eat? (29) What were animals to eat? (30) Why do you think God needed to tell Adam and Eve what they and the animals were to eat? Why, at that time in history, did people and animals not eat meat? (Hint: 2:17c- In order to get meat, what do you have to do to another living creature?) Does this instruction still apply today? 5. Study 1:31-2:3. Did God create anything else after He created Adam and Eve? Why did God rest after creating humans? 6. Describe the ecology and horticulture of the earth (2:5-6) and of Eden (2:8-14). 7. Compare the method God used for creating Adam (2:7) to the method He used for creating Eve (2:21-22). What are the differences and similarities? God made man to tend (2:15) the ______ from which he had come (2:7). God made woman to tend (2:18) the ______ from which she had come (2:22). 9. 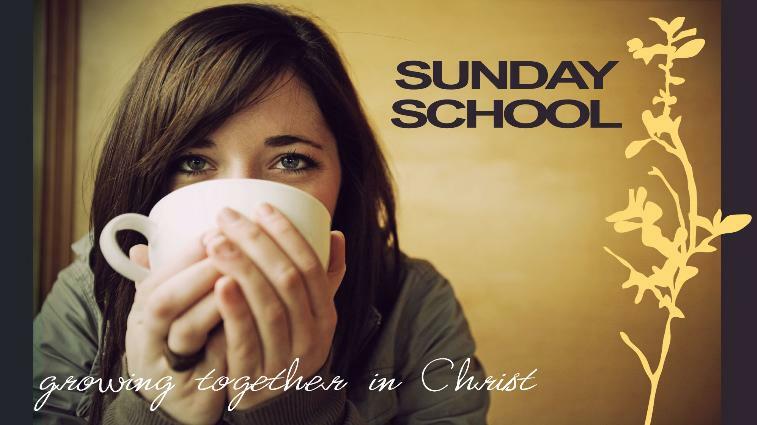 Examine 2:18-20. Describe the void in both Adam’s life and in Creation prior to God’s creation of Eve. How did the creation of woman make Adam’s life, and Creation, whole and complete? 11. What can we learn about God’s design for gender, sexuality, and marriage from Genesis 1:27-28 and 2:18,20-25? 12. Describe Eve and her world, using today’s passage as your guide. What kinds of things did she see, smell, hear, taste, and feel? What are some of the things she and Adam might have spent their days doing? What did she eat? What did she wear? How would the fact that sin and death had not yet entered the world have affected her daily life, her relationship with Adam, and her relationship with God? How would your daily life, relationships with others, and your relationship with God be different if sin and death had never entered the world? As we learned in Lesson 2, Genesis 1:26-30 and 2:5-25 are not two different accounts of the creation of man. Rather, chapter 1 is the condensed version and chapter 2 is the expanded version. Sometimes when we’re studying historical events like this, it can be confusing to our linear way of thinking when the story is not laid out in chronological order. On a piece of paper or in your word processor, rearrange the verses of Genesis 1:26-2:25 into chronological order. 1. What is the theme of Genesis 1 and 2? Some people think that Genesis 1 and Genesis 2 are two separate accounts of Creation. Is this true? Explain how Genesis 1 and 2 fit together. 2. Make a list of the attributes and characteristics of God you see in Genesis 1 and 2. Describe the relationship between God and His creation. In what ways do we see the creation submitting to its Creator? Examine what verses 1:2, 1:26, and John 1:1-3 tell us about an important aspect of God’s nature. Describe the ways we see each member of the Trinity present and involved in Creation. 3. What are some specific ways Genesis 1 and 2 stand in opposition to evolution, the Big Bang Theory, etc.? Did God leave anything imperfect or incomplete on any of the days of creation? How do the “good”ness (1:31) and perfection of Creation reflect the goodness and perfection of God? 4. What method did God use (1:3, 6, 9, 11, 14, 20, 24) for creating everything except man? What method did God use for creating man? (2:7-8) What does this demonstrate about the uniqueness of human beings as well as God’s special love and care for humans? 6. Summarize 2:7-15 in your own words. What do we learn about God, the earth, and Adam from this passage? 7. Who is God instructing in 2:15-17? Was Eve present for these instructions? What did God tell Adam in these verses? Why did God put the tree of the knowledge of good and evil in Eden if He didn’t want Adam to eat from it? How might God have been using this tree to teach Adam to trust, obey, honor, and submit to Him? What should God’s instruction about this tree have taught Adam about God’s authority and His right to rule over both Adam and all of Creation? For the next six days, choose something God created on each one of the six days of Creation. Write down how that thing brings glory to God, how it reflects God’s nature or attributes, and how you or another Christian could use it to spread the gospel, build up the church, encourage or teach others, etc. Pray, thanking God for that part of His Creation. 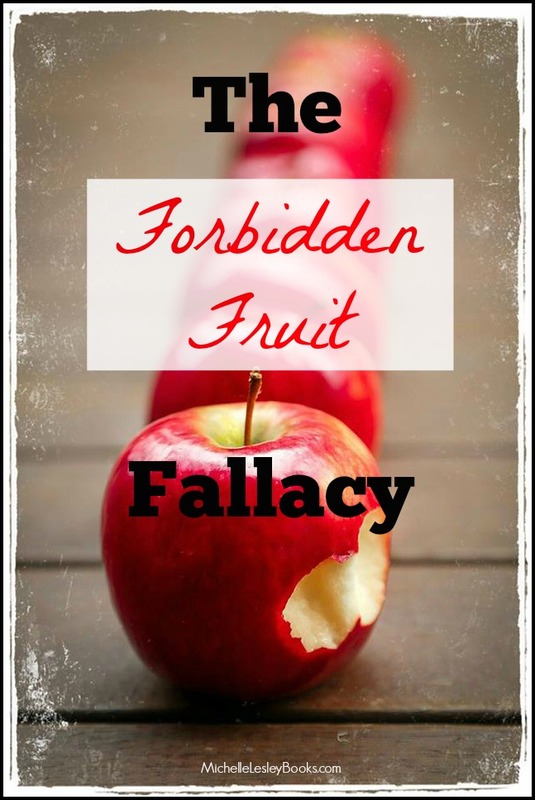 You’ve heard the old adage: “forbidden fruit is sweeter.” When people use this phrase, what they mean is that if you tell someone he can’t have or do something, he’s going to want to have or do it all the more just because it’s forbidden. I heard this little cliché several times last week on blogs, on Facebook, in discussion groups, etc., in reference to the deluge (yes, I contributed to it) of Christian blog and press articles decrying the movie Fifty Shades of Grey, and discouraging Christians from attending. Apparently – and I can see where they’re coming from, a little, I guess – some folks felt that the strong, repetitive, and biblical stand against Fifty Shades turned it into a piece of forbidden fruit that a) actually informed Christians (who would have been otherwise oblivious) that this movie even existed (Really? People are tech savvy enough to be on Facebook, Twitter, and blogs, but they were completely unaware of this movie? Ok, I suppose it’s possible.) and b) made Christians want to go see the movie because of its verboten status. The implication was that, if Christians went to see this movie, it was the fault – at least in part – of Christian writers who had warned against it. Until, that is, you start looking at this line of thinking a little more closely through the lens of Scripture. Pop quiz: What does the phrase “forbidden fruit” allude to? Please tell me you answered “c,” because, if you didn’t, I might have to sit down and cry. When God put Adam in the Garden way back in Genesis 2, He said, “You may surely eat of every tree of the garden, but of the tree of the knowledge of good and evil you shall not eat, for in the day that you eat of it you shall surely die.” (2:16-17) Fruit. Forbidden. Boom. And let’s take a gander at something else in this story. What caused Adam and Eve to eat from the tree? Was it God telling Adam not to eat from it? No. If that was all it took, why don’t we find Adam eating the fruit immediately after God told him not to? Why didn’t Eve immediately eat from the tree upon learning from Adam of God’s prohibition against it? Because the warning is not what led them to sin. We don’t see Eve lay a finger on that fruit until Satan enters the picture. He tempted her, and she gave in to sin. It wasn’t God’s fault for putting the tree there. It wasn’t God’s fault for warning them. It was Adam’s fault and Eve’s fault for being disobedient. As Christians we are to be imitators of God. “Whoever says he abides in him ought to walk in the same way in which he walked.” (1 John 2:6) That means that when we see sin that could easily ensnare our brothers and sisters, we don’t turn our heads. We don’t mind our own business. We don’t keep our mouths shut to be polite. We do the same thing God did time after time in the Bible. We run into the fray to rescue those we love. And we are not to blame if there are those who choose to charge headlong into sin rather than heed the alarm we sound. 3:1-6- Why did Satan approach the woman instead of the man? 2. Eve was created after Genesis 2:16-17. 3. Women generally tend to be a little more believing about spiritual things than men. 4. Women generally have a greater appreciation for beauty. 5. Satan was playing on her God-given desire to help her husband. 3:6- What was Eve’s response to temptation? 1. She stepped out of her God-assigned role. 2. She believed something that was in conflict with God’s word and acted on it. 3. She failed to fulfill her God-assigned role of helper. 4. She used her power and influence to turn her husband the wrong way. 3:6-9 What was Adam’s response to temptation? 1. Adam failed to fulfill his God-assigned role of leader. 3:10-24- What were the results of their sin? 1. Shame and guilt (10-11). 3. A line was drawn in the sand of redemptive history (14-15). 5. Adam and Eve’s sin has affected every person on earth ever since then (16-24). 6. God gives a foreshadowing of His covering of sin (21). What lessons can we learn from this passage about being a godly woman?